Every technology can be understood and recreated by anyone once they are clear with its fundamental operation. One such technology I am going to deal with is the Autonomous vehicle/Robot. Most of the beginners think (as I did when I was a beginner) that only master minded Engineers and Scientists can develop a Robot or Vehicle that can move autonomously( like this). Well, that is true if one is expecting 99% accuracy in operation of that vehicle. But with lesser accuracy and with better knowledge in vehicle control mechanism, one can build their own Autonomous vehicle. So, here, I will be explaining how to make your own simple Autonomous vehicle. Let us first consider an ordinary vehicle. The vehicle control mechanism involves increasing/decreasing the vehicle`s speed, braking and steering. The steering and motion of the vehicle is normally controlled by the user who makes decision based on the vehicle`s environment, whereas in case of an Autonomous vehicle there will be no user interaction, except for the marking of the destination point that the vehicle must reach. Therefore, suitable sensors must replace the human user. 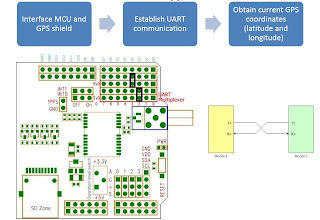 The following pictures depict the functioning of an ordinary vehicle with a human user on it and an Autonomous vehicle with sensors and processor. Now lets start to built an Autonomous vehicle. From the above two pictures, it is understood that the designer of an autonomous vehicle must decide how to sense the obstacles around the vehicle, How to move the vehicle from source to destination point while deciding the appropriate path to be taken. 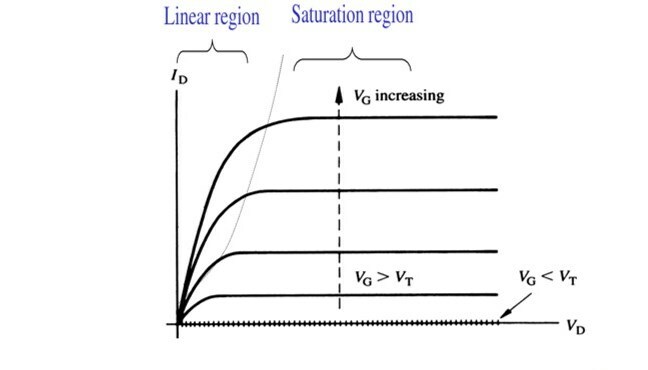 Of course, if you are familiar with image/signal processing you can use camera, LIDAR/RADAR for obstacle sensing. Since this explanation is for beginners, I am not considering the on road rules detection and path determination as it makes things more complicated. Before designing the vehicle control mechanism one must be aware of the maximum payload of that vehicle based on which the components can be picked up. In fixed speed control, the vehicle can be either moved(with a constant speed) or stopped. A simple relay logic controller is enough to perform this type of control. You can either build your own relay based controller for your vehicle or else you can buy a relay shield to control the vehicle motors from the micro controller. 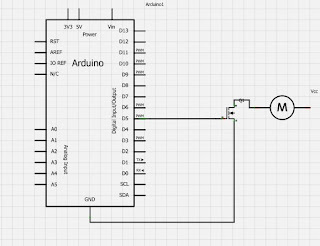 Below shown is the relay based motor shield and Arduino MCU. Logic sequence can be sent via the microcontroller to the input of the relay driver to switch the motors ON/OFF as well as to control their rotating direction. 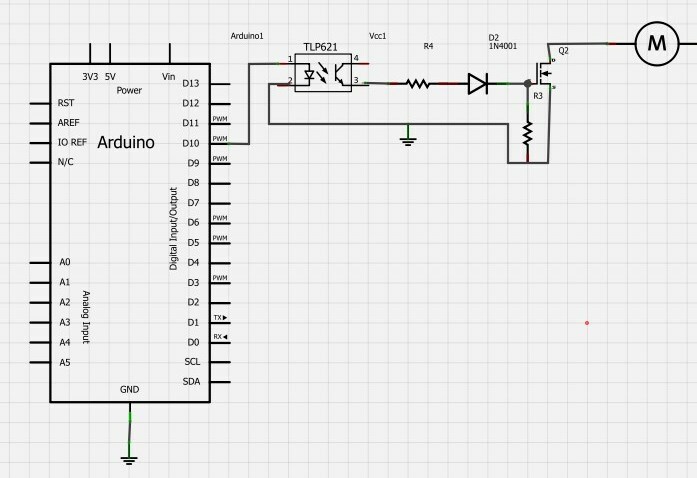 By using the above sequence you can switch corresponding relays associated with input pins from Arduino. Likewise, you can try different input sequences for forward and reverse motions. 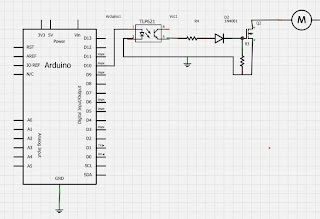 Connect the Gate of the MOSFET to PWM pin of Arduino. 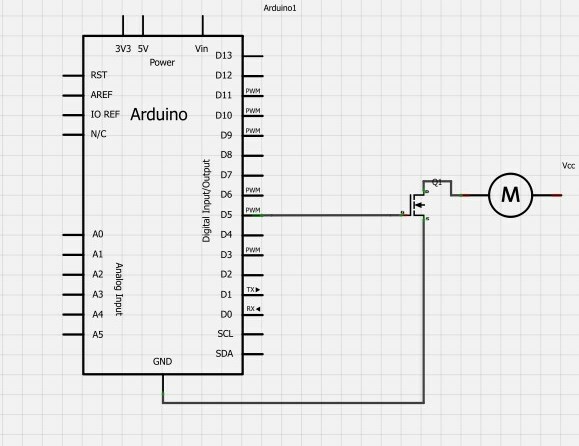 By varying the duty cycle of that pin, you can control the MOSFET`s gate which in turn controls the motor`s speed. However, this configuration works fine only for few trials and causes permanent damage to the transistor on prolonged usage. 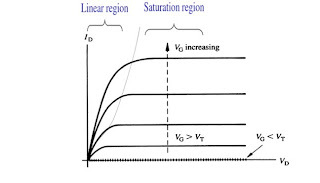 The reason is that, the transistor stays in linear region for a long time before it reaches the saturation region. Thus the performance of the MOSFET never reaches its optimum point which leads to over heating of the MOSFET and you will end up frying the MOSFET(as I did) on further usage. Ciss is the sum of capacitors from gate to drain and gate to source(this value can be obtained from the MOSFET data sheet). Also keep in mind that, in CMOS configuration, the Vgate must be plus 5V higher than the Vcc to prevent damage against the MOSFET used. So now the first part in Autonomous vehicle construction is completed. Now we can manually control the vehicle`s acceleration, deceleration and braking with the MCU. The obstacle sensing range can be set as you wish and the sensor can be mounted over a servo motor to get 180 degree field of view. Don’t forget to use a pull up resistor to avoid garbage values in the sensor readings. Also provide enough delay time in the servo sweep so that the echo pulse can reach the receiver completely. 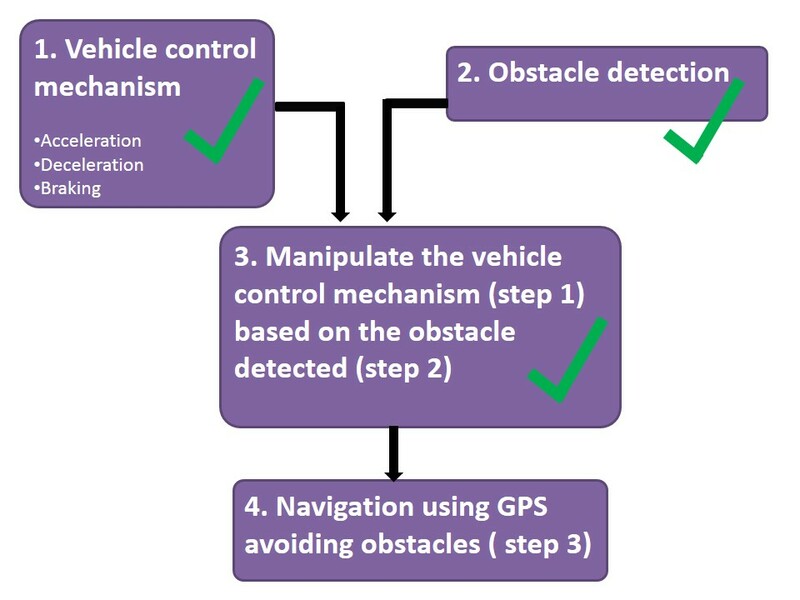 Now, we have a developed an obstacle sensing mechanism and we already know how to control the vehicle manually. Now all we have to do is to combine both the methods. 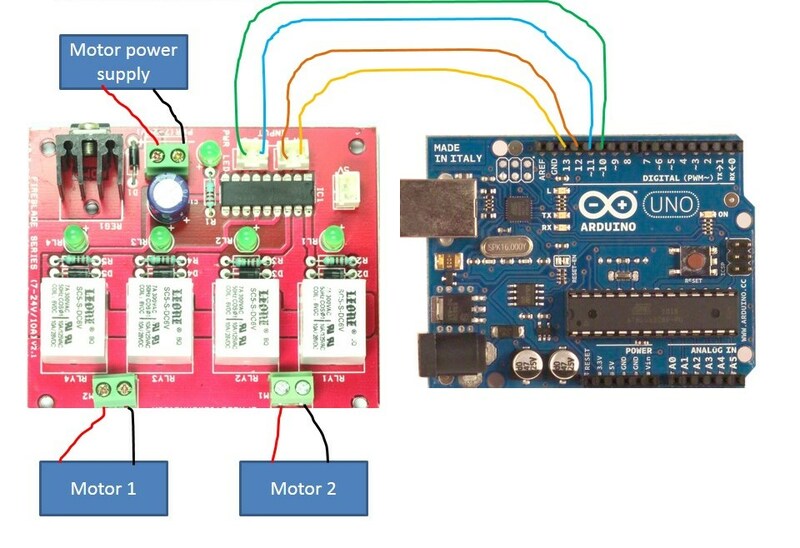 Go to this link to see the control of DC motors based on the obstacles sensed by an IR proximity sensor and also check this link in which the sensor is mounted on a servo motor and the above algorithm is implemented in it. 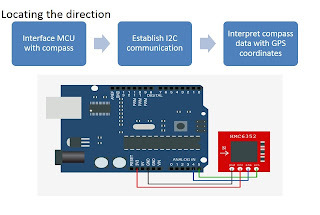 The components required for this purpose are the GPS receiver/shield and a compass. Using the Haversine formula, the distance from the source to destination point can be calculated. Since the distance is calculated in straight lines, way points must be declared in case of destination points other than straight lines. Below shown is the schematic of the Arduino GPS shield, tiny GPS function can be uploaded to the Arduino MCU to obtain the NMEA strings and make sure the jumpers are placed in the right position. Using the compass, determine the vehicles direction with respect to the destination point and turn the vehicle until both the values are equal(use atan2() to get the vehicle`s current direction with respect to destination using the GPS coordinates). Then, move the vehicle to the calculated distance(measure the distance moved using an encoder) and “you will reach your destination point”(with lot of errors obviously). While moving from the source to destination point, the obstacle detection and manipulation function will act as an interrupt function. I hope right now you got an idea about how to build an Autonomous vehicle. However, to increase the accuracy, you have to add lot of feedback loops and control algorithms to the system(this is a basic model after all).